Andrew Hurell was at IILJ as a Visiting Fellow in 2003. He is Montague Burton Professor of International Relations at Oxford University and a Fellow of Balliol College. He was elected to the British Academy in 2011 and to the Johns Hopkins Society of Scholars in 2010. He is a Delegate of Oxford University Press and a member of the Finance Committee (the board of the company). His book, On Global Order. Power, Values and the Constitution of International Society (published by Oxford University Press) was the winner of International Studies Association Prize for Best Book in the field of International Relations in 2009. Other publications include: (with Ngaire Woods), Inequality, Globalization and World Politics (1999); and (with Louise Fawcett), Regionalism in World Politics (1995). 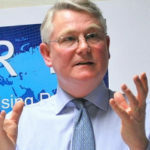 He was named in the 2011 Teaching, Research, and International Policy (TRIP) survey as one of top twenty academics to have made the most influential contribution to IR over the previous five years, and was one of only two non-US based academics in that group. He is Member of the Long Range Planning Committee of the International Studies Association. His research interests cover theories of international relations; theories of global governance; the history of thought on international relations; comparative regionalism; and the international relations of the Americas, with particular reference to Brazil. His current work focuses on emerging powers and the globalization of international society and what this means for ideas and practices of global order, for IR theory, and for international normative theory. Collaborative projects include concerts of power in the 21st century; provincializing Westphalia; and ASEAN integration through law. He is also completing a short introduction to global governance.